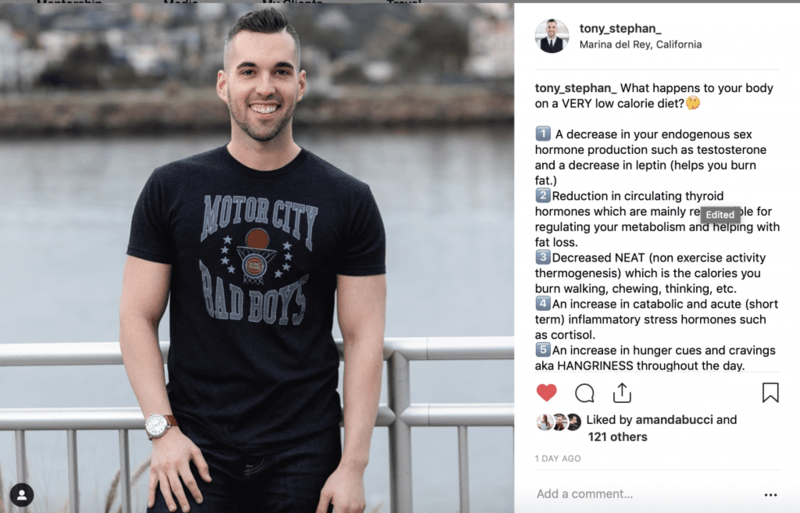 So you want to create a successful online nutrition coaching business eh? I don’t blame you! After spending eight years in the fitness industry working as a personal trainer and registered dietitian, in 2017 I launched my online coaching company and went all in on the dream of being a full time entrepreneur. 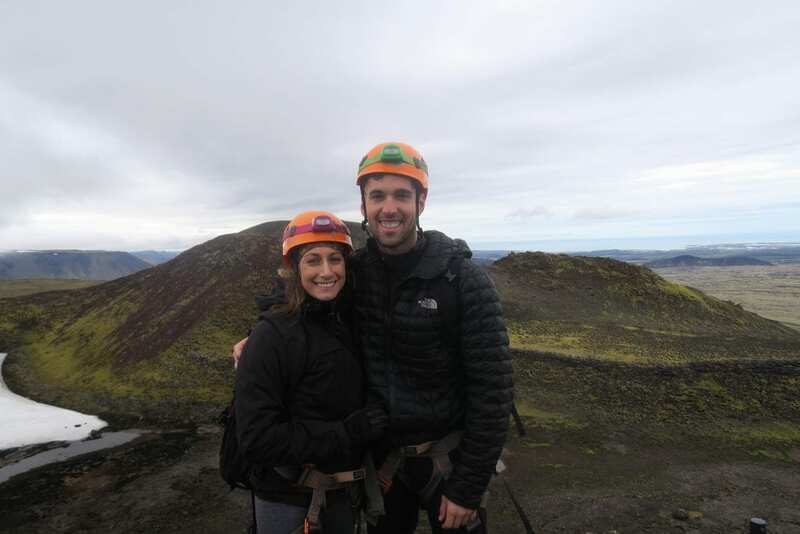 Entrepreneurship allows you to climb volcanoes in Iceland on a Monday. Do I need to go back to school for an MBA to be a successful entrepreneur? Should I write a business plan before starting? Will I need to invest thousands of dollars into a website, logo, paid advertising, etc? I can confidently tell you that you need NONE of the above to create a successful online coaching business. It took me over ten years of experience as a coach, registered dietitian, manager, and now business owner to find out what really matters when it comes to creating a successful online coaching business, and I am excited to share some of my lessons and takeaways here with you today. If you want to hear more about my story you can watch this YouTube Vlog here. For the context of this post, I want to make it more tactical about the steps I took to launch my online coaching business. And more importantly how YOU can apply these steps to help you achieve success with your entrepreneurial aspirations as well. 1.) Get crystal clear on who you want to help. A truism on business is if everyone is your customer, no one is your customer. While I definitely started off as the jack of all trades early on in my career as a personal trainer and registered dietitian, I quickly realized that I had a love and a passion for helping athletic based clients achieve their aesthetic and performance goals. I started to specialize in that niche, and I worked to become highly proficient in that area. My reputation grew for delivering amazing results for cross fitters, physique competitors, and every day gym goers looking to improve their performance, and so did my business. One of the biggest mistakes I see so many coaches making is trying to serve everyone with their coaching programs, and they end up serving no one. Again, if you are brand new there is validity to working with everyone and anyone so you can discover what subset of clients you love the most. This is exactly what I did when I was a new personal trainer at the age of eighteen. Sooner or later, you’re going to want to specialize. So your first action step is to write out who your IDEAL client would be. What would their goals be? What are their pains, fears, failures, and frustrations? What type of program would they need to be successful? Why does coaching this person bring you fulfillment and enjoyment? Answer those questions and you’ll discover who your ideal client is. 2.) Solve your ideal clients problems via amazing content FOR FREE! Yes, read that statement again. Now that we know exactly who you want to serve with your coaching, you will now create content of amazing value and give it all away for free via social media. In fact, I want you to give your best stuff away for free. Your thought process here is normal, but I want to challenge you with a powerful reframe. Clients will invest into you not for knowledge but for application and accountability. In 2019 we are overly educated on nutrition information. Information is abundant on the internet. Knowledge is NOT power for your clients. Implementation is. When you provide amazing free content via social media that is targeted to your ideal client, they will begin to know you, like you, trust you, and then want to do business with you. They will then want to invest into you for the application and implementation of the knowledge you have been providing. Take this blog post for perfect example! I am giving you information that clients in our I Believe Mentorship program have paid me thousands of dollars for. Why? Because I believe in the statement that you should give your best knowledge away for free to help your prospective clients, and it will come back to you ten fold in terms of growing your coaching program. An example of giving away valuable free content on social media. 3.) Create an exceptional customer service experience for your clients. I have “3 C’s” that I’ve built my business around: Culture. Community. and Customer Service. You must deliver an exceptional customer service experience for your clients if you wish to grow your business organically. I always teach my mentor clients that there is nothing more powerful in terms of marketing then when you can get real people real results and they are so amazed by your coaching that they are compelled to tell others about you. That’s your marketing strategy. How can you do this? Create systems in your business from the start that will allow each client to go through the same process. Everything from your on-boarding process, to your check in process, and your payment process should be systematized and the same for each and every client. If you have one client checking in with you via text message, and others via email, and some are paying you via Venmo, and others are using Pay Pal, it creates an unorganized business structure that is impossible to grow. When a client first begins with you, they should have a very clear understanding of how to check in with you, how to contact you, how payment will work, and a blueprint of what the coaching process should look like. If you want to build a skyscraper, you have to start with the foundation. The same concept applies for building a business. Once you have these systems established, you should OVER deliver for your clients. If your client invest $500 a month into coaching with you, and you deliver $500 worth of value, you’ve failed. You must find ways to over deliver for your clients and create an experience they will never forget. Start by sending hand written thank you notes to each and every client after they sign up. This alone will help you separate from the pack. 4. Sell yourself with confidence and conviction. Yes, we have to have the dreaded sales talk. One thing I always seem to hear from aspiring entrepreneurial RD’s and coaches is how much they hate sales. I truly believe a fear of sales comes down to one fundamental issue. The ONLY reason you would ever be afraid to sell your services is if you aren’t convinced that you can help your prospective client achieve their goals. Obviously since you are here reading this blog post you know you’re good at what you can do, you have credentials and qualifications. So start believing in yourself and your ability to change lives! Ask yourself right now, would you buy your coaching programs or services? If the answer is YES, why the heck are you afraid to sell this to someone else? Take the powerful frame that it is your duty and mission to sell your services and help change lives. Giving away your coaching for dirt cheap or even worse for free does nothing to help your clients. Why not? Because when we pay for something, we pay attention. And the more we pay, the better we play. Write that one down. Right now write down all the ways you can help your prospective client. Write your credentials, your experience, your positivity, and every other skill or attribute that will allow you to be a successful coach. Now look at that list and realize how powerful you really are, and how much value you can add into your clients lives. Get sold my friend. Be sold on that fact that you are a rockstar and you deserve to charge what you’re worth to create amazing results for your clients. Money is just energy my friend. The energy around a $500 per month coach compared to the energy around a $80 per month coach are WAY different. I don’t know about you, but I don’t want to be known as the cheapest coach around. I want to be known as the coach who delivers a luxury class experience of uncompromising quality to my clients. Be sold on YOU and you will never be afraid to sell again. Want to know the biggest mistake I see most online dietitians and nutrition coaches making? Trying to do it all on their own. Listen, we went to school and received credentials to become nutrition experts. We were taught biochemistry, anatomy, and human metabolism. We were NOT taught how to succeed with an online business in 2019. If I was going to do it on my own, I would’ve already done it. Now it was time to pay someone to help me get there. Hiring my first mentor changed the game for me. And I didn’t stop there. Bedros lead me to work with Jason Phillips. Then I found myself working with John Romaniello and Amanda Bucci. All of which have added an immense amount of value to my life and have helped me to progress far further than I ever could on my own. Every successful person in the history of time has had a mentor from Alexander The Great, Michael Jordan, and Vera Wang all have had multiple mentors in their life. So why shouldn’t you? Coaches need coaches my friend and a good mentor will help you cut down on wasted time, energy, and frustrations. I know how nervous you probably are to make that initial investment, especially if money is a bit tight, but let me promise you that it’s never a risk when you’re investing in yourself. Find a mentor who you can relate to and who is actually doing what you want to do, make that investment, and be ready for explosive growth in your life. So grateful for Amanda for being an amazing mentor and human! (BONUS TIP 6.) Take imperfect action and embrace the unknown. Most people will fail in business not due to a lack of knowledge, education, or resources, but instead they will fail because they took too little action. They waited, contemplated, planned, and delayed taking action. Don’t let that be you. Something I teach to my mentor clients is imperfect action will always beat standing still. You now have four very powerful tactical steps to help you move forward with your online business. As I taught you earlier, knowledge is worthless unless it’s followed by action and implementation. I don’t care what you start with just get started NOW! Apply this information and start moving forward with your business. Pump out amazing client for your ideal client. Implement systems in your business that will help you OVER deliver for you current clients. Invest in that mentor who you know will help you progress faster than you can on your own. The final thing I want to leave you with is learn to embrace the unknown. Entrepreneurship is filled with excitement, challenge, uncertainty, and growth. If you don’t thrive in the unknown, you will struggle with being an entrepreneur. Einstein once eloquently said “the beauty of life exist in the mysterious.” Entrepreneurship is a beautiful art my friend. The tool we use to express that art is coaching and creating impact in this world. Take action. Believe in yourself. Bet on yourself. And change the world. The people who are crazy enough to think they can change the world are the one’s who do. If you are a registered dietitian or nutrition coach who is looking to grow a six figure online coaching business that creates massive impact and wants to surround themselves with amazing individuals who will motivate and encourage your success, you may be a good fit for our I Believe Mentorship. For more information DM me on Instagram or email me. In the mean time check out the short video below and join our Facebook Community.